Features team-based and deathmatch-based multiplayer modes on various maps. Each mode has an objective that requires unique strategies to complete. 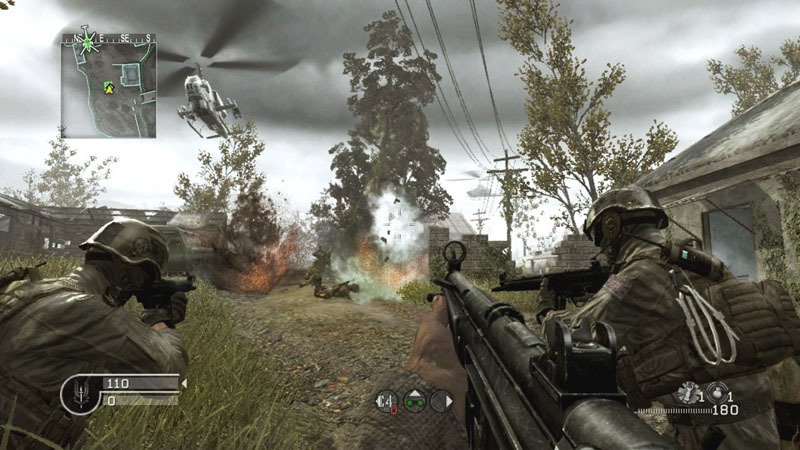 Players can call in UAV reconnaissance scans, air strikes, and attack helicopters, when they achieve three-, five-, and seven-enemy kill streaks respectively. A game ends when either a team or player has reached a predefined number of points, or the allotted time expires in which case the team or player with the most points wins. If the points are even when the time expires, Sudden Death mode is activated in which there is no re-spawning and the team who either has the last man standing, or achieves the objective first are the winners. If the player is in either of the two matches, then there is an Overtime match, in which the next team to win is rewarded the victory. cod is not as good as bt hhah sorry man truth...cod is the worst game in the world. Minecraft is even better! And !... you say that COD is playing little kids. But sometimes you play COD too! Ney tell me which game is better? and why? COD or BT?